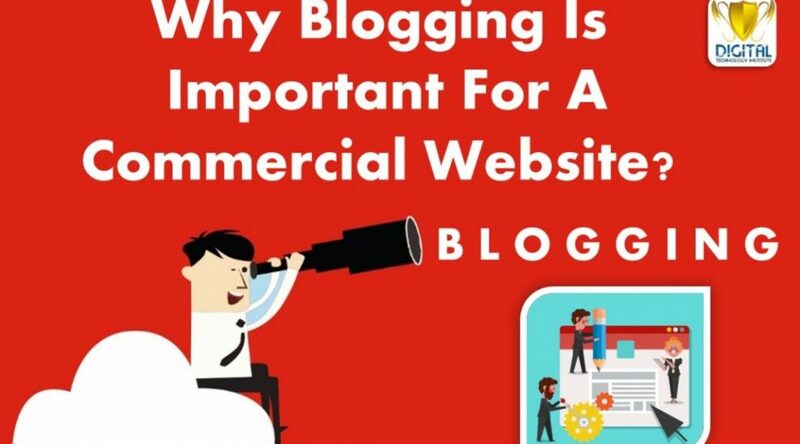 Top 4 Reasons Why Blogging Is Important For A Business? Are you owning a business? Have you created its website? These days all businesses owns a website then you must have one. If you already have website have you ever tried to figure out that how’s its search engine ranking? Is it showing among the top results on Google SERP? If not, Then it’s time to take some actions for your website as world is getting digital and all businesses are approaching online even all the consumers are searching for goods and services on internet via their mobile phones or computer devices. In order to grab those customers a business needs a website and it should be ranking on First page of search engine Result Page. A Product or Service page with its complete description. An About us page comprise of company’s History. A Contact us page with complete contact details and contact form. The most Important a Blog Section. Now you might be thinking about why I have discussed about “Blog Section” Is it really important or not? So now get into flashback and think about websites you have ever seen did you found a blog section on any of those websites similar to yours or of other topics? If yes, then ever thought why they have Blog section on their website? Before knowing why Blogs are necessary first let get aware about what actually blogs are? It helps in boosting your website’s search engine ranking. It gives your non-living website a virtual voice. It also becomes a great platform for building relationships between you and your customers. It also helps you in telling your brand story or something else. As till now we have just discussed the outlines how blog plays an important role on a business website. Now let’s discuss in details how actually all these things comes into act. 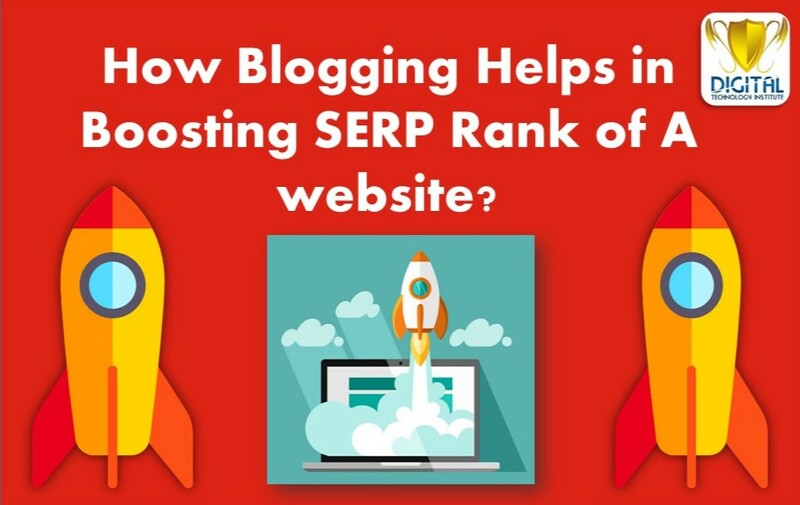 1.How Blogging Helps in Boosting SERP Rank of A Website? It has been noticed that companies who blog gets 60% more chance to get higher ranking in search engine because every search engines loves new and fresh content so if you update something new and meaningful content daily on a section of your website it gives a signal to search engine that they have a new content to index and make their results more rich with quality content. So by this content your website will rank on more keywords and you’ll be able to drive more customer visits to your website. More visits leads to more chances of conversion, more the number of conversion higher the profit. So it directly makes sense if a company needs more profit then it must has more visibility in search engine apart from its product and services it should be ranking on the some information about them such as “Top 5 benefits of any X product” or say “How to use a “X” Product ?” when someone searches about these kind of information you article written in your blog section will appear in search results and people comes on your website to gather such kind of details then there are more chances that they will buy those products or avail the service offered by you. However people are more keen to know about the information about services or products but after collecting the information they show more interest in buying that product or availing that service. So it directly means that Companies who blog get higher number of sales. 2. 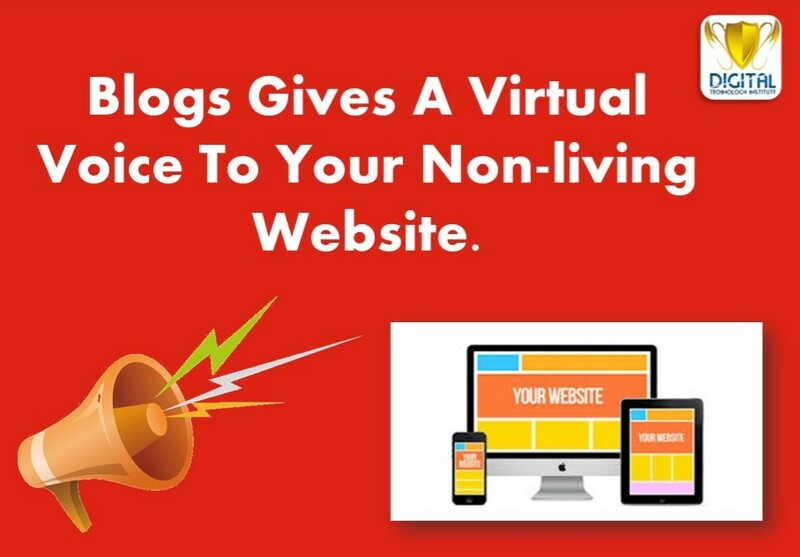 Blogs Gives A Virtual Voice To Your Non-living Website. Voice! Blog! how is it possible ? Yes it’s possible you may be wondering how a textual content can become voice it can become a voice . Just Scratch your mind and think while you were reading this article you might be feeling like that I am having a conversation with you isn’t it ? Now understood how giving information in the textual form can become a voice. apart from this ,it also provides a feel of personal touch on a monotonous world of website. Websites portraits the quality of your work or service you provide websites are the only platform which creates an image of your business in front of people so if they views that yes this website has section for providing some kind of information your website name will be memorized by them and they will become a regular customer which indicates google that yes this website has potential to call users again and again on their website, this will help your website to rank even more high in search engines which means more business . Now their might by pendulum kind oscillation will be going on in your mind and you might be thinking “why my website does not contains blog yet? 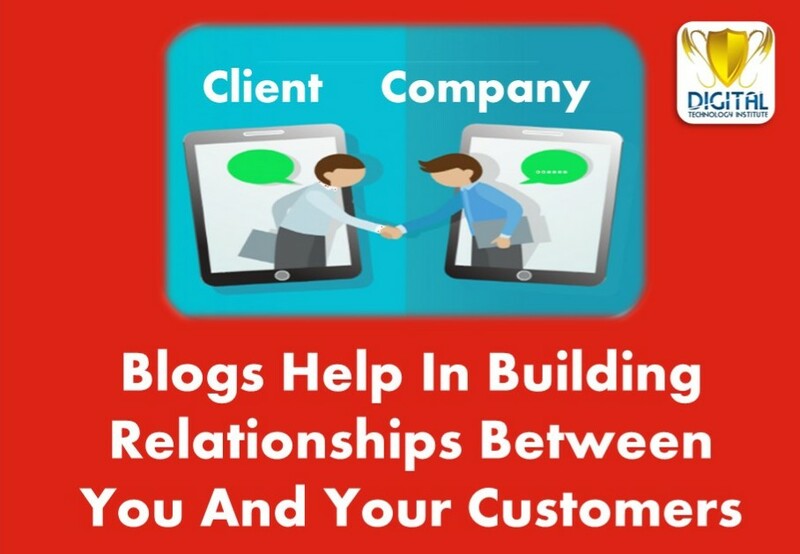 3.How Does Blogging Helps In Building Relationships Between You And Your Customers? Relationship ! How does a web page can create relationship ? Yes it can ! Have you heard about the website name “Quora” it is a platform where everyone can create their profiles and they can ask questions from the Quora community whomsoever knows the answer of the question can post their answers. In the same manner when you post some knowledge about something from your product or service people might ask their questions in comment section so whenever your company team replies to their answers it builds a relationships which helps in creating a good potential market as you solve someone queries honestly they develops trust on your brand so whenever they wants to purchase a product or wants to avail service kind of yours they will come to your website for checking the details and this time there are 400% more chances that conversion will take place. Apart From Conversion what else we want, do we want something else? Conversions matter but along with this a loyal customer database also matters as before availing any kind of service or buying a product everyone checks it’s reviews and analyze the quality of those products and services by reading people opinions, So if you have good customer relationships they will definitely give you their valuable reviews. 4.Blogs Also Helps In Telling A Brand Story Or A Story Of Your Employees Development. 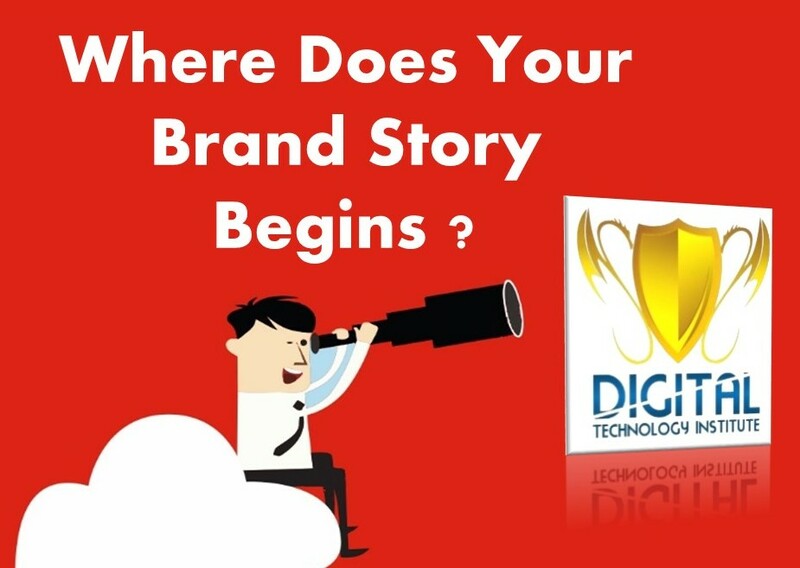 Brand story is the only thing in which everyone is not interested in knowing but there are few people who are keen to know about brands background as they wants to have a debate with their friends that the service or product availed by them belongs to which brand when that brand was established and who owns that brand these kind of questions always comes in someone’s mind when they are a great fan of your brand they will love to know the history of it. Everyone might be curious to know how does this brand got its logo and you know logo is the identity of a brand which has a unique story behind it. Now Recall some brand names like “Honda” , “Amazon” and “Pepsi” Their logos has a unique story behind them, Let’s know what it is Honda: when you focus on their logo you will got to know that it is not a “H” which we use to think it actually shows two persons are shaking their hands among them one is customer and other one is Honda Representative who is wishing and serving their service to a client, Isn’t it a good story absolutely they have done a great research behind it so does “Amazon” and “Pepsi” Amazon’s logo has Arrow inclined from A to Z also a Amazon is the biggest rainforest in the world where maximum no. of plant and animal species are present on based of this concept Amazon portrayed their brand as they will provide consumers all the products from A to Z, and Pepsi logo has feng shui yin-yang sign. So like them you might also have a interesting story behind your logo or a brand name you can also tell your audience about them by writing on your blog. You can also display the section of recognition and awards won by your company or life at your company so whenever any new member comes to your company they will feel more than happy to be a part of your organization and people will also be amazed to see how company celebrates all days at their workplace. So now let’s sum up hope you have understood the benefit of having blog on your website. It Really proves a great platform in all manners whether you wants to engage with your customer or wants to have a survey or anything like offer information, wants to know what people think about your brand or wants to make develop a good relationship with your customers , and the most important factor is ranking as you are making Search Engines like Google happy by providing them a wide variety of rich content they will love your website and gives you a higher rank in search results which gives you more business and more happiness. So if you wants to make your website healthy and wealthy then must have a section of Blog on it and get the pleasure of ranking high and getting higher return on investment as blogs doesn’t need a good amount of money they just take a small section for living on your website. So Have A Blog On Your Website And Feel The Change In Your Ranking ! !